Barbara Vininsky of Jack & Jill in Montreal, Quebec is a second-generation owner of a clothing and toy store that's been in business since 1945. 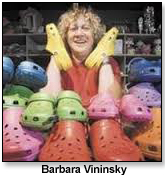 TDmonthly has a special fondness for Barbara, because she was one of the first retailers we ever videotaped – way back at Toy Fair 2006. And she knows just what to look for at Toy Fair. "I'm looking for trends — not run of the mill," said Barbara. "I'm looking for the latest and greatest." See the products she loved below. 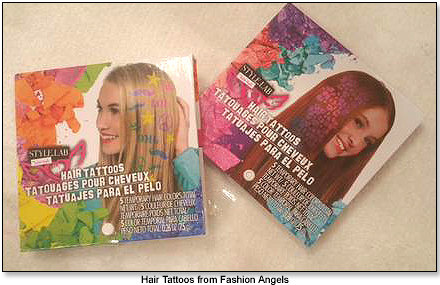 Barbara loved Fashion Angels' latest products. "Fashion Angels is every tween girl's dream. They had exactly what I was looking for." 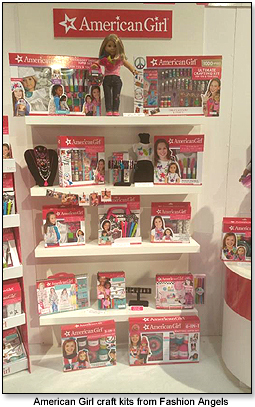 Barbara told us that she's frustrated, because she loved Sugar Lulu and their products, which are perfect for tween girls - but they're not yet available in Canada. Consider yourself lucky, US retailers! "Love those Worry Eaters from Haywire," Barbara told us. It's "Plush with a zipper in the mouth where you can write down your worries." The plush "eats" the worries, and then parents read them later and discuss with their kids. "WowWee is much more than a toy company," Barbara told TDmonthly. "The have some new savvy items for girls. A Snap Chat which you can take a selfie with, and Groove Cube, miniature blue-tooth speakers. They're very cool. I will keep my eyes on them for future."